With a few days of playing around with the Android Nougat-running Galaxy S7 under our belt, it’s time to take a step back, reflect, and acknowledge that Samsung is actually taking quite a risk here. Samsung’s flagship Galaxy devices receive two major Android updates, apart from the now regular security patches. The Galaxy S5 started out on Android KitKat, spent a year on Lollipop, and is now running smoothly on Marshmallow. The Galaxy S6 was released with Lollipop, jumped to Marshmallow less than a year after its market launch, and is heading to Nougat sometime in 2017. The same will apply to the Galaxy S7 and Galaxy S7 Edge. But not all updates are equal. Not this time. So, what is so different about the Nougat update? It’s not Nougat. Or better phrased: it’s all the things that Samsung is sending out together with that latest version of Android. If you’ve been reading our What’s New in Nougat series, you’ve certainly spotted a thing or two. Or three. Or more. This is by far the biggest update Samsung has ever brought to a device that’s already on the market. In Samsung’s Galaxy, it is very normal to get new features on your phone, long after you bought it. But the Galaxy S7 with Nougat is almost a new device, with not a few but many new features and a drastically overhauled interface. Even the central settings menu has undergone a major makeover. Now many of you may think ‘Nah, it’s nothing new, it’s just the Galaxy Note 7’s Grace UX coming to the S7‘. You are right, of course, and it’s easy to see why Samsung would be eager to bring its improved interface to the market despite, or even because of, the unfortunate demise of the Note 7. But in reality, this is where things get risky for Samsung. While many users welcome change, new features, and options, others are less happy with their beloved phone suddenly changing. And with a device like the S7 (edge), the ‘others’ category could easily consist of tens of millions of users. Users who, after installing the update, will be confronted with an entirely new settings menu structure, a different theme store, and new functions they should but probably won’t explore. Again, check out our What’s New With Nougat series to get a glimpse of the changes. 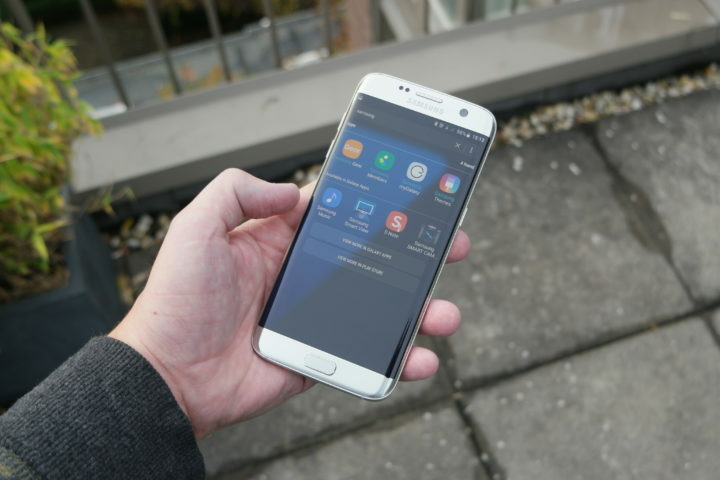 There is a good reason why Samsung has, in the past, been very careful to bring updated versions of their TouchWiz UX to devices running an older version of it. Most users are happy when their phones work the way they expect them to work. They spent weeks or months getting used to them. And then, all of a sudden, this update they never asked for makes them feel like a complete stranger to their own devices. We might be exaggerating somewhat here, but in the past, we’ve seen the impact of, for example, Samsung removing its T9 keyboard mode on the Galaxy S3 and S4 with the transition between Android 4.2 to 4.3. What seemed like an outdated echo of times long gone turned out to be a much-used feature after all. It took a long time for users to stop asking how they could turn off transparency of the status bar in Android KitKat (note: you can’t – it was considered part of the improved design). After every large update, there is a group of users that ‘wants their old phone back’. Not because of bugs, but simply because they don’t like the way the updated interface looks, or because they loved the way some particular features used to work. Normally, this group is relatively small. But the bigger the update, the bigger this group grows, bringing us back to the start of this article. The Nougat update for the Galaxy S7 is very, very big, and therefore runs the risk of a large group of its recipients not liking all those changes. Or, at least, it ‘primes’ them: if all works smoothly, changes will ultimately be accepted. However, should the final update be as bug-ridden as, say, the original Lollipop update for the Galaxy S5, the Nougat update could become a very big problem very quickly. There’s no need to remind anyone that after the Galaxy Note 7, Samsung has very little room for error in its mobile game. Don’t get us wrong, we are not here to cry wolf. Last year, Samsung showed it learned its lessons from the previous year’s Lollipop update and made sure the Marshmallow update on the Galaxy S6 went down quite smoothly, even if a bit slower. This was achieved, largely, by launching a beta program before releasing the actual update. You know, exactly like Samsung is doing right now with Nougat on the Galaxy S7. And, as we’ve stated before, what we’ve seen from the current beta is genuinely impressive, even if it might take many users some time to get used to the elaborate changes. But it is nonetheless interesting to point out that Samsung, by bringing such a significant update to the user experience of the Galaxy S7, exposes itself to an equally significant risk. Samsung’s first, major move post Note 7 shows the company is not shy at all. In fact, it is pretty bold and should be recognized as such. We’ll keep our fingers crossed that it works out. And if it does, we can’t wait to see what comes rolling out when the next product of this mentality in unveiled: the Galaxy S8. Anyone know the way how to run Nougat with old TouchWiz from MM? Sorry but the whiners who want nothing to change on their phone can go jump on the iPhone band wagon, that entire OS was made exactly for people like that. What is wrong if I need better (MM) UI than is now with latest (N)? N UI isn’t intuitive anymore. Small icons, shade colors mostly not visible on white screen …. This uptade will be came for Samsung Galaxy S5 ? . Please answer my question ! The absolutely worst part is, that there is no official list of devices which are getting upgrade and when they will get it. This is actually pretty quick for Samsung.. You have to realise there is a massive amount of changes that Samsung put into stock android before releasing it to their phones. Redesigning and adding features (and making them work for entirely different versions of android) take a lot of time. At least this time they were relatively faster than normal, and bringing Grace UX to a device before releasing their whole new S series is phenomenal. Probably just their way of saying “sorry about the Note Flameballs” But still, I’m excited for the Aus version to finally get released. 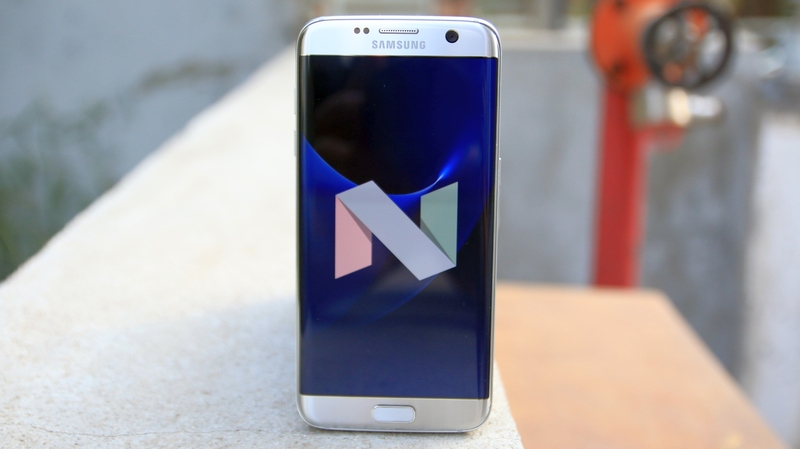 Will Samsung Galaxy Note 4 N910G Will get Android 7.0 Or a new system UI? Sure it will, it already has. Jump over to XDA Note 4 Development section and install one of the many custom ROMs available for the note 4. Mine runs fantastic with the Note 7 ROM; Plus, no flame ball! ah so now galaxy users wants uniformity of the gui? then just stay with android stock interface and add feature there.. It’s ridiculous to have a customized gui and complain when samsung wants to change it..
Also android stock it’s the same since 3 years with a very polished and clean ui with little to no changes since 3 years..
Why samsung can’t simply do that? I picked up the Samsung Galaxy J7 from T-Mobile a few weeks ago to replace my Note 7. I wonder if they are considering releasing Nougat for this phone? So far this has been a solid phone for the price. Is the tab S2 getting this? THANK YOU SAMSUNG FOR MAKING THIS A HUGE UPDATE! I just I wish you’d get a little quicker with them. This is how it should be with major updates especially one with better ui! Completely new like how Windows 10 was to Windows 7! I think you guys need to realize that as a person who isn’t into tech, you usually hate any kind of change. Every year apple updates iOS there’s something people complain about, but then they get used to it and start to enjoy it and then it gets changed again. It’s the infinite cycle of technology, this article isn’t saying Samsung shouldn’t do it, it’s just saying that it’s a new risk Samsung hasn’t tried much before. I disagree with this article, new features and new UI/UX are very much welcome. Hopefully they don’t listen to this article and will bring the new ux to the Galaxy S7. I really hate there current design. I think this is a long overdue step they have to go. I don’t agree…..I think that Samsung is in the right track with the update to nougat….I wish to have the update soon as possible to my S6!!!! But it’s my opinion…..
i know some people who have s3, s4 or other samsung phones asking me to help with the settings. i think lot of people are lazy to read, and by the way they only need to know where is the wlan and mobile Internet to switch on, things like the icons doesn’t matter, just one thing which could make problems is the color i think, Samsung should take care which colors to use and maybe think about this, the BEST BEST solution is the neutral style of iOs, sorry but thats true. Sorry but it isn’t true and you’re an idiot. As a samsung users for many years and an ex-Galaxy note7 user downgrade to s7 Edge, i am more than welcome to the new interface and changes. Can’t wait for Android 7.0 official build as the older Touchwiz is so out-dated in design, smoothness and overall layout. You just trolling, right!? That’s the target, to give latest characteristics to as many devices is possible. That’s why I bought s7 edge. On the contrary this is first time samsung doing this just because of note 7’s global incident. Till now only latest devices got new features in order to push consumers to by a new one. If anyone want his/her phone non getting new uxs or find its ux too complex, just buy a midrange or keep an old one. This means that nougat update is mainly for disgruntled users who had to give up their Note 7 for mere S7.